As temperatures change, snow melts, and days grow longer across North America, a network of sensors captures these vital data, measuring key weather metrics that inform an array of scientific endeavors from wildlife biology to crop studies to modeling future environmental change. Scientists at the Department of Energy’s Oak Ridge National Laboratory translate these raw meteorological statistics into an easy-to-use dataset known as Daymet. ORNL recently published new Daymet data, extending the series through 2017 to encompass 37 years of gridded weather estimates for the North American continent. Daymet provides seven daily weather parameters for the continent, from Mexico to Canada and Hawaii to Puerto Rico. The data combine temperature and precipitation measurements from 20,000 National Oceanic and Atmospheric Administration stations with modeled values for snow melt, vapor pressure, day length, and shortwave radiation. With detail available for every square kilometer of the continent, that makes for a dataset of approximately 500 million data points for each year in the series. Data that big could be challenging to use if not for the efforts of the experts at the ORNL Distributed Active Archive Center. They specialize in publishing biogeochemical data from NASA’s Earth Science missions. Thornton does much of the translation of the raw binary data into scientifically compliant datasets, leveraging several types of coding, algorithms developed by NASA, and her own background in Geographic Information System mapping. She led the charge in 2013 to make Daymet available on the web and continues to work with a team of ORNL DAAC developers to create new functionality for users. “Making scientific data accessible and transparent is the driving force behind our work,” ORNL DAAC chief scientist Alison Boyer said. 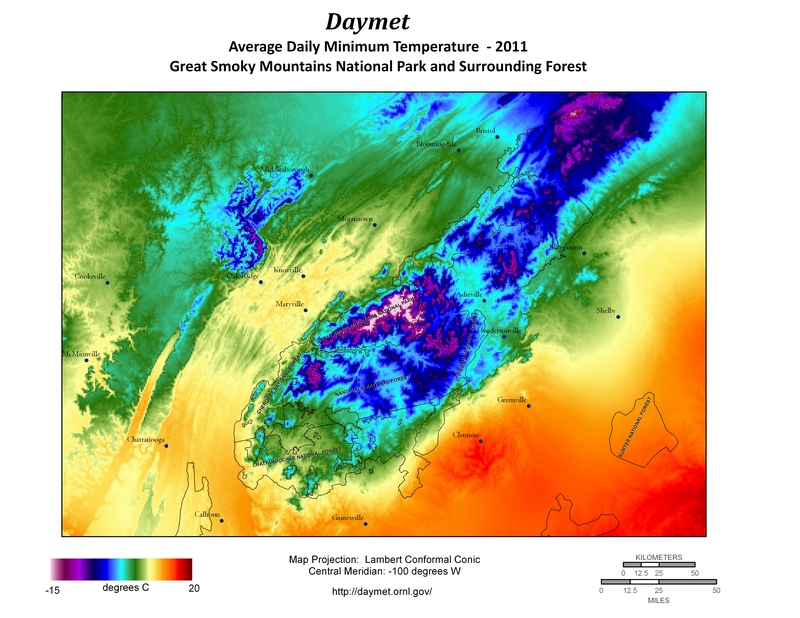 With the heavy lifting taken care of by the ORNL DAAC, Daymet users can select the information they need through a variety of tools, from the single pixel tool that allows users to pick locations of interest on a map to annual climatologies that provide yearly averages for each variable. Data can be accessed in multiple formats directly from the server, saving users download time and facilitating use in applications ranging from spreadsheets to modeling software to high-performance computing. This ease of use, paired with the vital nature of the Daymet data, has made it the most popular of the offerings managed by the ORNL DAAC. Millions of downloads occur during peak months, with terabytes of Daymet data accessed daily. The United States Geological Survey is one of the biggest users of Daymet. They fold Daymet statistics in with other datasets to create hydrologic summaries on the USGS Geodata Portal for their users, a community focused on factors affecting water quality and availability, such as stream flows, groundwater levels, and reservoir stocks. 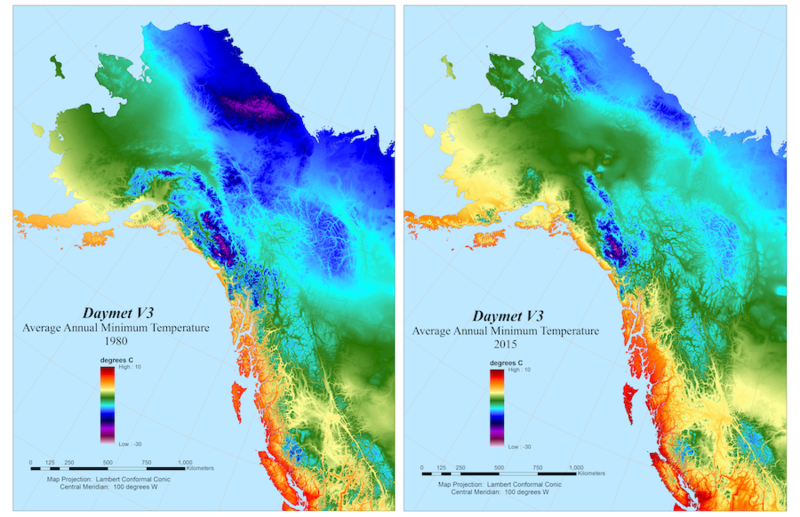 Scientists studying the Alaskan tundra as part of DOE’s Next-Generation Ecosystem Experiments Arctic project are using Daymet data to complement their extensive onsite observations as they gain insights about the permafrost landscape and improve models of environmental change. Citizen scientists across the United States are using Daymet data as part of an initiative called Nature’s Notebook, which encourages participants to track the seasonal changes in plants and animals in their own neighborhoods. A project of the National Phenology Network, Nature’s Notebook offers a visualization tool that combines Daymet temperature and precipitation data with member phenology records to track and visualize patterns in seasonal changes. With more than 200 scientific publications citing the Daymet dataset in the last five years, this rich data resource has become vital to many fields of study. Daymet is supported by NASA through the Earth Science Data and Information System and the Terrestrial Ecology Programs. 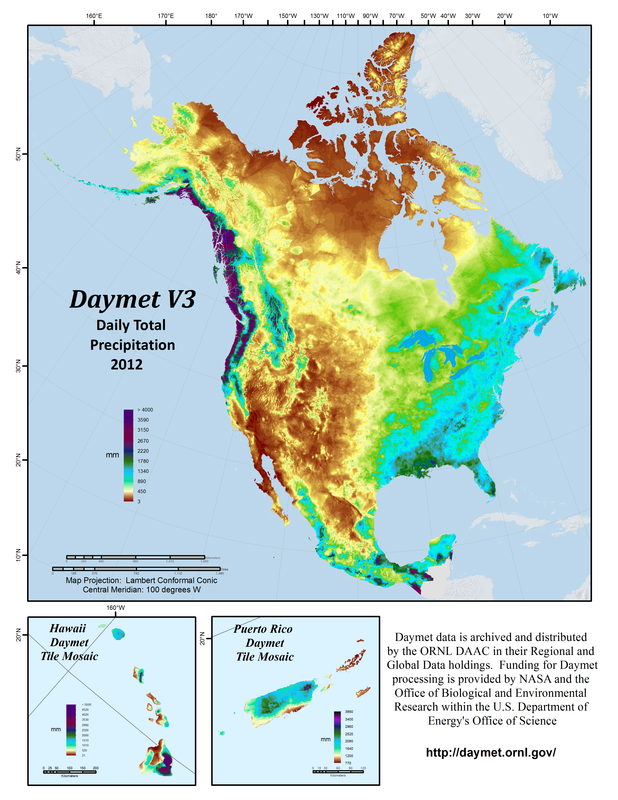 The continued development of the Daymet algorithm and processing is also supported by the Office of Biological and Environmental Research within the Department of Energy’s Office of Science.